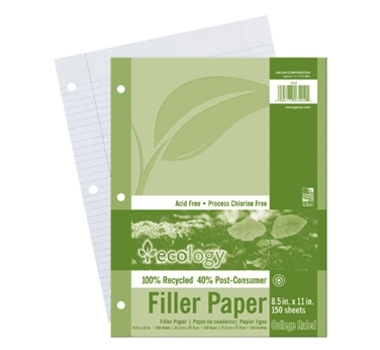 Pacon Recycled Filler Paper contains 100% total recycled content with 40% post consumer fiber. Each sheet is five hole punched and ruled with a margin. Environmentally friendly filler paper also has a four color top sheet. These environmentally friendly school supplies help us to do our part to keep our earth healthy for future generations.